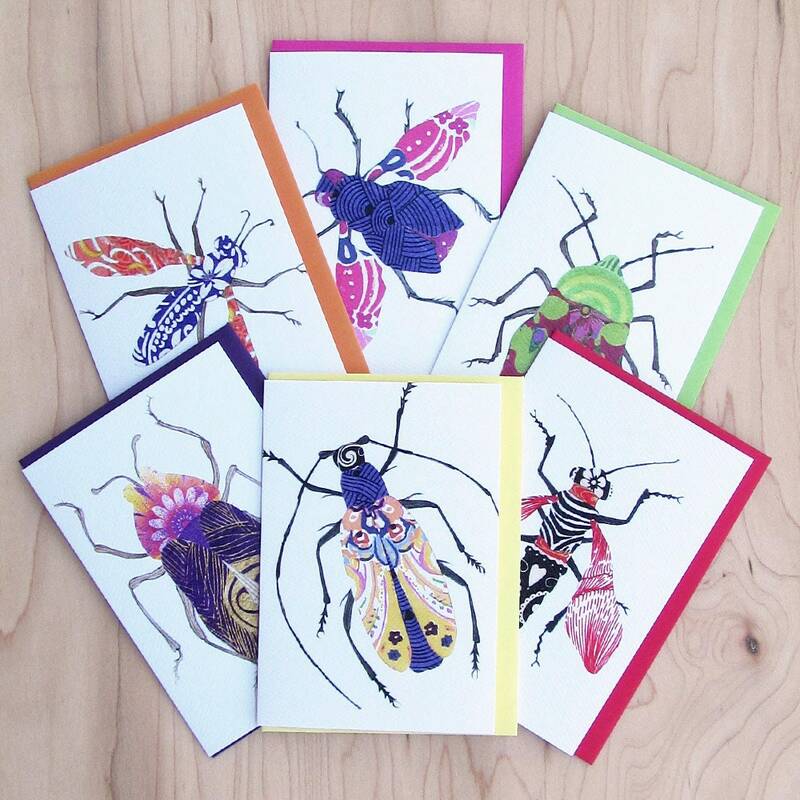 It’s impossible to one-up the brilliant patterns and colors of nature, but I can’t resist creating my own bug species with scraps of decorative paper, watercolors and colored pencils. 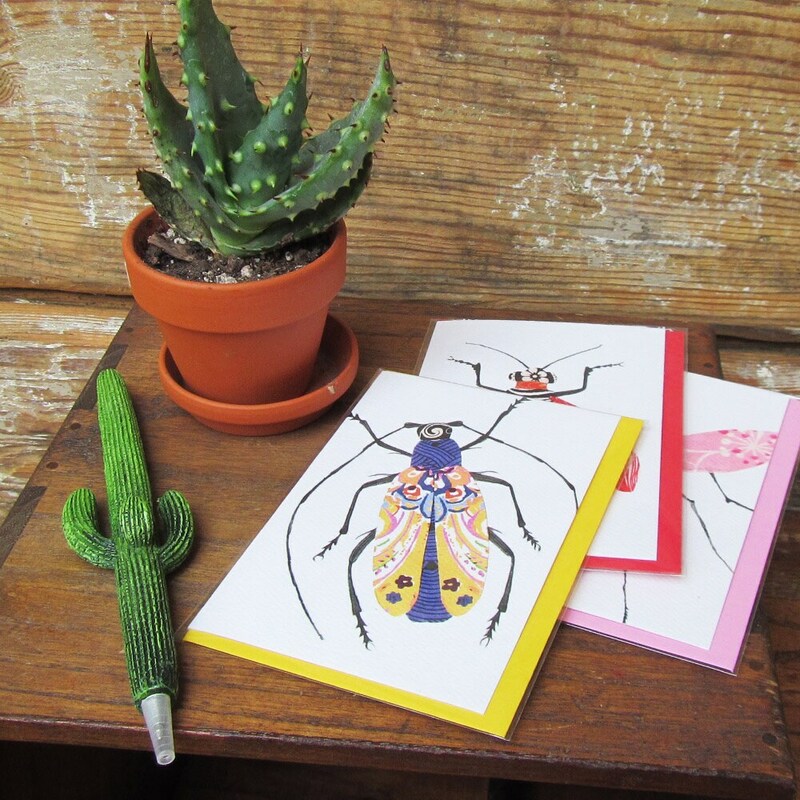 Each card in the 6-pack features a print of my original artwork and comes with a bright color-coordinated envelope (note: envelope colors may vary depending on availability). Felt paper adds a lovely subtle texture. 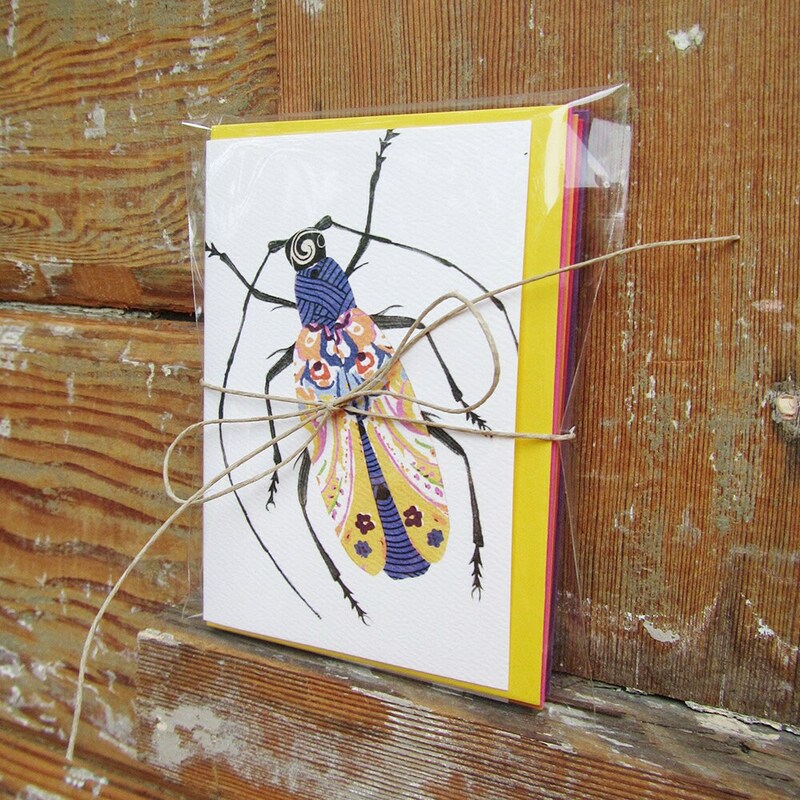 Cards are on the smaller side: each card with envelope measures 3.75 inches wide by 5 inches tall. 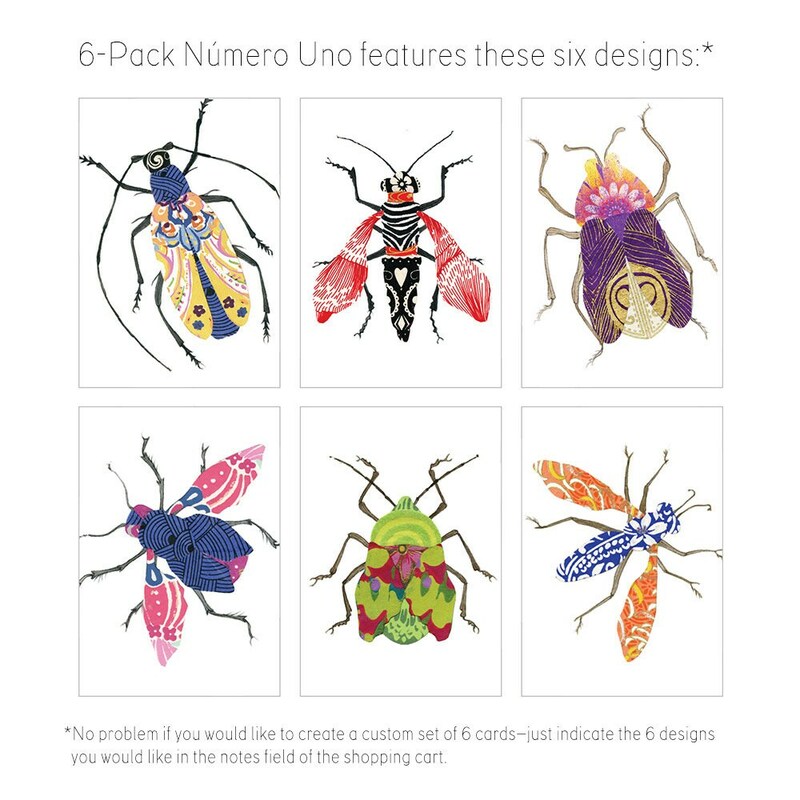 Feel free to choose your own custom 6-pack, just give me the details in the message field at check out.